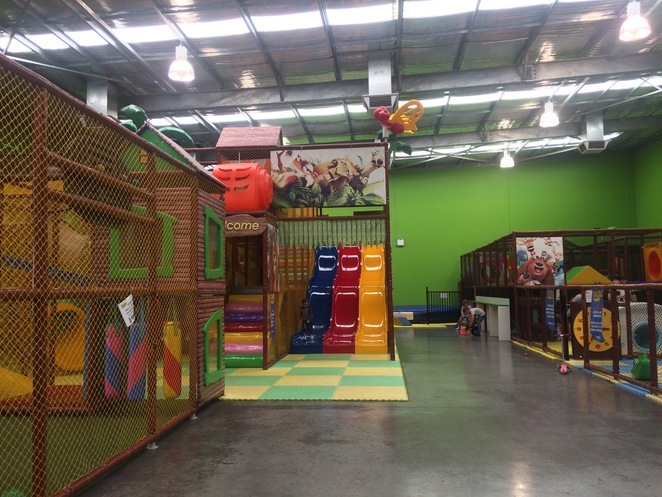 With so many indoor play centres placing a big focus on kids over four, it's nice to see one that has allocated a decent space for younger children. 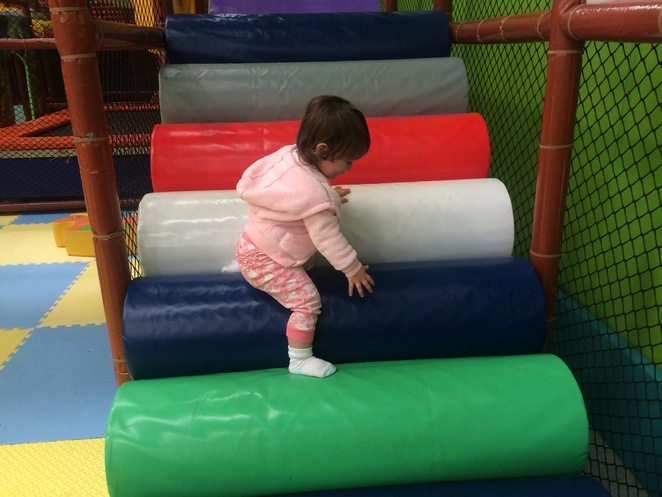 I was very impressed with the size of the toddler's area at Squids Family Play Centre in Bibra Lake. I say toddler, but the zone is for kids aged four and under. In so many play centres the area for smaller kids is fairly limited. 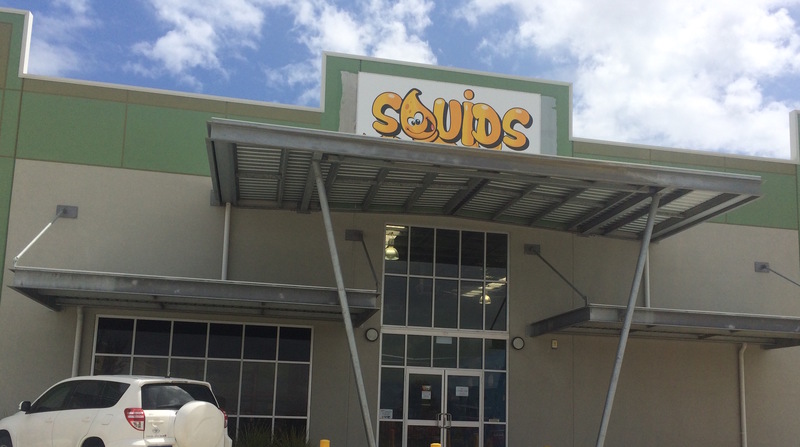 Squids Family Play Centre, Bibra Lake. Squids opened in April 2016 and replaces the Treehouse Indoor Play and Café. There are three main areas – a small space for children under 12 months, the 'toddler' space and a play structure suited to kids aged four and over. 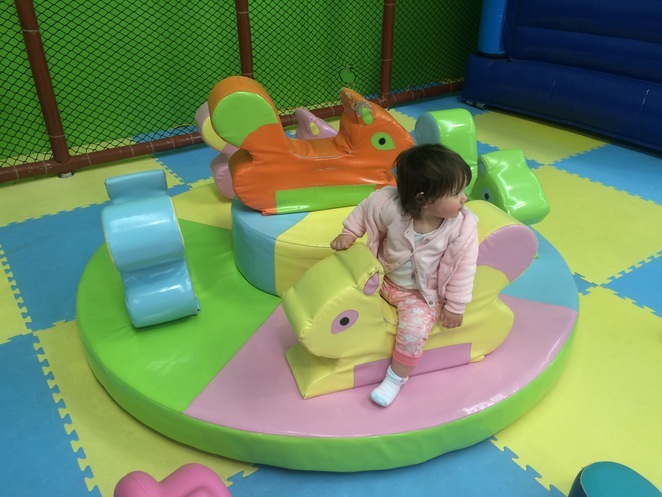 The under fours area has just about everything to keep your little one entertained for a few hours – a mini carousel, padded steps for new climbers, slides – including one into a giant ball pit – a trampoline and a bouncing castle. Perfect steps for little climbers. There's also see-sawing animals, lots of padding and soft cushioned floors and a heap of age-appropriate activities to do underneath the climbing structure. The space for older kids is also pretty impressive. The multi-level structure includes three-lanes of slides, two separate twisted slides, tunnels to crawl through and plenty of places to climb up and down. 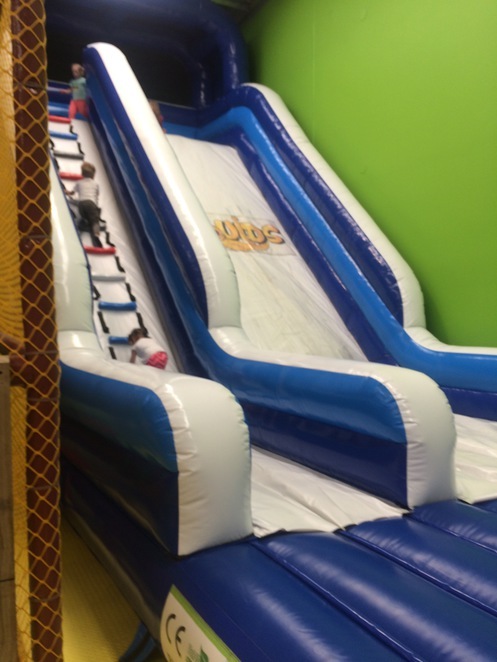 The new addition to the play centre is a giant, inflatable slide that kids can only access by hiking up a rope ladder. There's also a basketball court, an obstacle course and scooters to zip around on. The centre had a 'new' feel to it, even though most of the play structure and equipment hasn't changed since the Treehouse days. It was clean enough but my one bug bear with this and every other play centre is how older kids encroach on the under fives' space and in all the excitement of play, don't often take enough care around smaller children. Still, I'm sure my daughter will be one of those kids one day. If you're looking for birthday party ideas, Squids has four different party rooms available and provides catering. You can also hire the centre after-hours for parties and other events, such as school discos. They have a great café area, with plenty of space for prams and high chairs provided. The café serves delicious Yahava coffee, while the menu offers a range of small meals and snacks. Socks are a must, so keep a spare pair or two on hand in case a sock goes missing. You don't have to book for general entry, but booking for birthday parties is a must. The price is reasonable – entry for all kids aged one and over at any given time is $10. Parents and kids 12 months and under are free. Squids Family Play Centre is a fun way to get out of the house and let the kids run around while climbing on someone else's furniture for a change. Why? A ‘new’ play centre in Bibra Lake that isn’t just for the big kids. 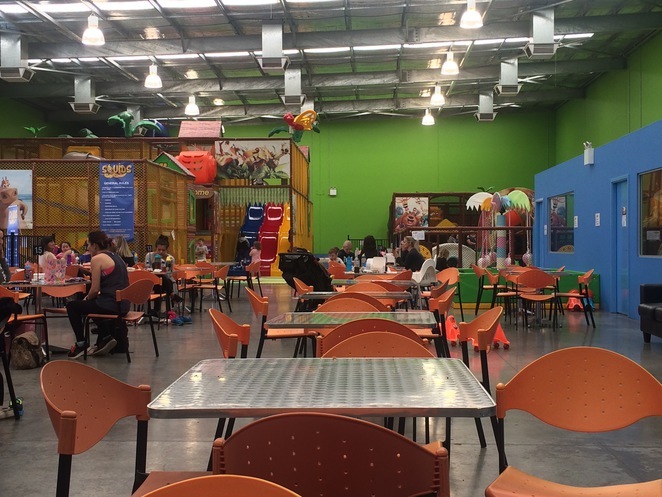 Almost looks like the twin of one we have in Kawana Waters called Chipmunks Playland and Cafe - an excellent indoor location too!